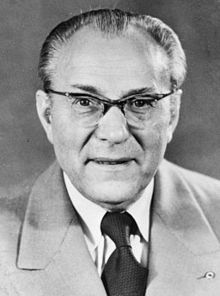 Otto Grotewohl (German pronunciation: [ˈɔtoː ˈɡʁoːtəvoːl]; 11 March 1894 – 21 September 1964) was a German politician and the first prime minister of the German Democratic Republic from 1949 until his death in 1964. Grotewohl was born in the city of Braunschweig (which would be part of West Germany during the partition) on 11 March 1894 and his father was a master tailor. Following World War I he started his political career as a leader of the Independent Social Democratic Party of Germany (USPD) and minister in the Free State of Brunswick. 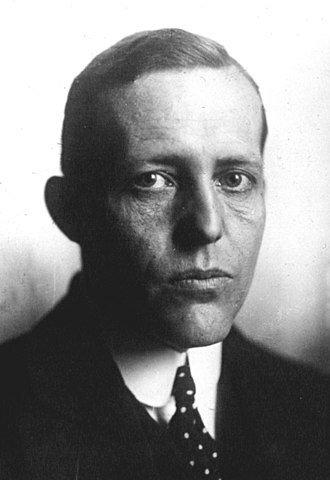 From 1921 to 1923 he served as a secretary of the KPD district leadership Great -Thuringia in Jena, then he worked in the Berlin headquarters, traveled under the pseudonym Stephan Sublowiak in the party assignment to Vienna with his wife Martha in Leipzig, he stopped only for days or hours station. 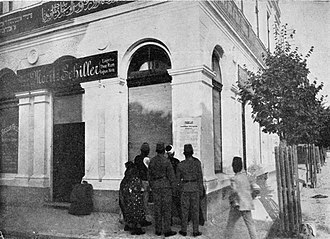 His daughter Dorle was born, and Otto regularly sent some money, but it was not enough and Martha had to earn and work as a seamstress. she was disappointed, saying "I thought I had married a carpenter". In 1922 Grotewohl with the majority of the USPD members joined the Social Democratic Party of Germany (SPD) and from 1925 was a member of the Reichstag parliament. Dismissed after the Nazi Machtergreifung in 1933 he was imprisoned several times. After World War II he became a leader of the SPD in the Soviet occupation zone of Germany and, fiercely opposed by chairman Kurt Schumacher, led his party into a merger with the Communist Party under Wilhelm Pieck. 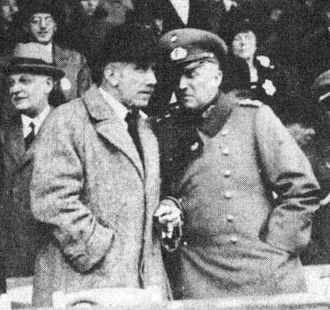 Grotewohl, after initial hesitation, yielded to the pressure by the Soviet Military Administration and Walter Ulbricht. 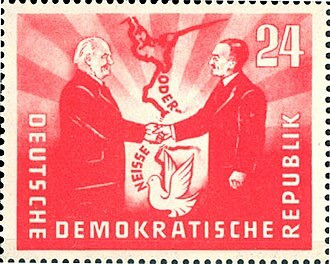 In April 1946, the KPD and the eastern branch of the SPD merged as the Socialist Unity Party (SED), with Pieck and Grotewohl as co-chairmen. 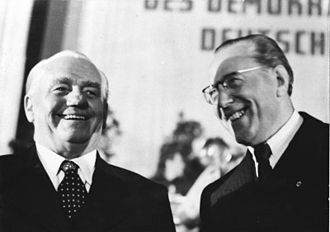 With the establishment of the German Democratic Republic (GDR) on 7 October 1949, Grotewohl became the GDR's first prime minister (Ministerpräsident), while Wilhelm Pieck served as state president. With the creation of the Council of Ministers (Ministerrat) government of the GDR in 1950 Grotewohl, as Ministerpräsident, became its first chairman. From 1950 onward, however, the real power holder was Ulbricht, General Secretary of the governing SED Central Committee from that date onward. Unlike most of his SED colleagues, Grotewohl was known to favour a more humane way of ruling the country. 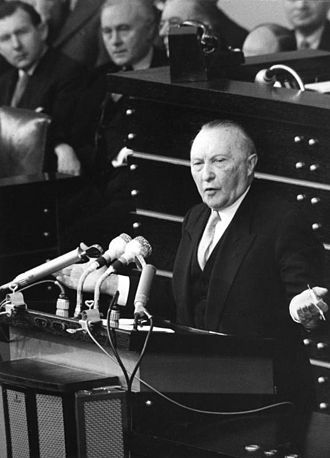 In a major speech to an SED party conference on 28 March 1956, Grotewohl condemned abuses in the legal system. He denounced illegal arrests, called for more respect for civil rights, and even asked the parliament to develop lively debate. He also made a veiled criticism of Justice Minister Hilde Benjamin's notoriously heavy-handed handling of political trials. He retained his posts due to the Kremlin's trust in him. In 1960 he was diagnosed with leukemia, from which he died on 21 September 1964. However, he had not been fully active since 1961, when he began receiving medical treatment in the Soviet Union. He was awarded the Order of Karl Marx, the GDR's highest decoration, in 1952 and also the Soviet Union's Order of Lenin, the GDR's Order of Merit for the Fatherland in gold and he was a freeman of the city of Dresden. In the fifties Grotewohl was repeatedly taken to the GDR government hospital. These were both minor examinations, in which he was evidently released on the same day, as well as in part multi-day stays. 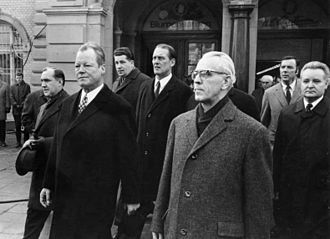 However, the East German head of government was not only examined by specialist physicians in the GDR, who identified arteriosclerosis and incipient calcification of the coronary heart in 1953, but also took advantage of the medical care of top politicians in Moscow. So he was on 12 November 1953 in the Kremlin Polyclinic. Afterwards, he completed a three-and-a-half-week cure on the Black Sea. Grotewohl took advantage of these unofficial stays in Moscow to conduct political talks with the Kremlin, but there are no records. From 1955, Grotewohl's doctors were worried about the condition of his cardiovascular system; In 1959, they finally diagnosed incipient heart failure and pushed for a reduction in workload. Due to the persistent high blood pressure and the chronic become arrhythmia the physicians feared a heart attack. During the course of 1960, his health deteriorated rapidly, so that he was barely able to participate in the political daily business. On the 4th of April 1960 he traveled to a four-week relaxing holiday on the Black Sea; eight months later, he arrived again for several weeks in the Soviet sanatorium in Barwicha. 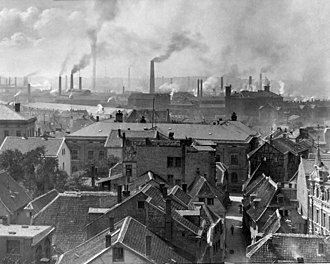 After his return from the Soviet Union he reluctantly moved with his wife from Pankow to Wandlitz giving in to a previous decision from Ulbricht. Already at the end of October 1960 Grotewohl had commissioned his deputy Willi Stoph with the execution of the official business. The permanent cardiovascular disorders prevented Grotewohl's return to politics. He was no longer able to participate actively in the meetings of the leadership committees of the party and the government. As his eyesight also faded, he could no longer read any script. That is why there are hardly any public speeches from him at the beginning of 1961. Despite the clear medical situation a resignation from the post of Prime Minister was obviously out of the question. 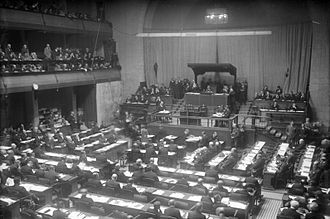 On the contrary: in September 1960 he became Deputy Chairman of the State Council, the collective body that was created on the base of the Presidency which was abolished after Wilhelm Pieck's death. Grotewohl finally died on September 21, 1964, at 12:35 noon the consequences of a brain haemorrhage. A few hours later, the GDR flag on the Brandenburg Gate in East Berlin was lowered half-mast and the Deutscher Fernsehfunk broadcasting was interrupted. The GDR Council of Ministers ordered 3 day mourning period. He was lying in state in the SED Headquarters. On the 15th of October his ashes was placed in an urn at the Zentralfriedhof Friedrichsfelde. After his death, the Wilhelmstrasse in East Berlin was renamed Otto-Grotewohl-Straße in his honor; the street retained this name until 1991, following German reunification. 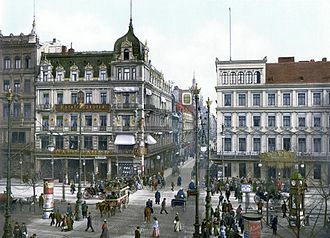 On 15 April 1986, the present-day Mohrenstraße U-Bahn station in eastern Berlin, then known as the Thälmannplatz station, was also renamed Otto-Grotewohl-Straße. The Third German School in Chapayesky Lane, Moscow, was named Otto Grotewohl School. Grotewohl's house in 46 Majakowskiring st.
Grotewohl was married to Marie Martha Louise, née Ohst, from 1919 until 1949 and the couple had two children, one of whom, Hans Grotewohl (1924–1999), was an architect who was sent by his father to lead a German Work Team for rebuilding Hamhung, North Korea in 1954. In 1949 he married his secretary Johanna Schumann, née Danielzik. He was an avid artist, painter, and amateur filmmaker. ^ a b c Dierk Hoffmann (2009). Otto Grotewohl 1894-1964 : Eine politische Biographie. Veröffentlichungen zur SBZ-/DDR-Forschung im Institut für Zeitgeschicht. p. 466-468. Wikimedia Commons has media related to Otto Grotewohl. Loeding, Matthias: Der Handlungsspielraum des Zentralausschusses (ZA) der SPD in Berlin im Jahre 1945. Dissertation, Hannover 2002. Loeding, Matthias: Führungsanspruch und Einheitsdrang. 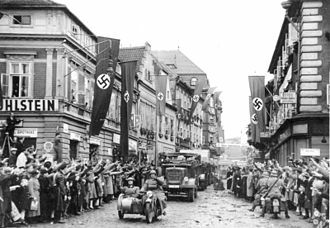 Der Zentralausschuss der SPD in Berlin im Jahre 1945. Kovac, Hamburg 2002, ISBN 3-8300-0770-1. Loeding, Matthias: Otto Grotewohl kontra Kurt Schumacher. Die Wennigsener Konferenz im Oktober 1945. Kovac, Hamburg 2004, ISBN 3-8300-1391-4. 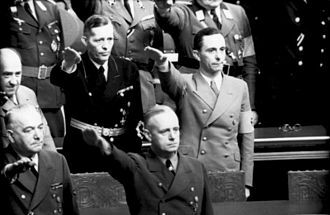 Loeding, Matthias: Wie Phönix aus der Asche: Zur Rolle Otto Grotewohls bei der Gründung des Zentralausschusses der SPD in Berlin im Frühjahr/Sommer 1945. Grin-Verlag, München 2008, ISBN 978-3-638-94173-0. (Online Resource). Hoffmann, Dierk: Otto Grotewohl (1894–1964). Eine politische Biographie. Oldenbourg, München 2009, ISBN 978-3-486-59032-6 (Veröffentlichungen zur SBZ-/DDR-Forschung im Institut für Zeitgeschichte). ^ Max Bloch: Rezension zu: Hoffmann, Dierk: Otto Grotewohl (1894–1964). Eine politische Biographie. München 2009. In: H-Soz-u-Kult, 4. Dezember 2009. The political leadership of East Germany was in the hands of several offices. Prior the proclamation of an East German state, the Soviets established in 1948 the German Economic Commission as a de facto government in their occupation zone. On 7 October 1949 an East German state, called the German Democratic Republic, was proclaimed, for most of its existence, the most important position in the GDR was that of the General Secretary of the Socialist Unity Party. The Communist party and its leader held ultimate power and authority over state, the formal head of state originally was the President of the German Democratic Republic. After the death of incumbent Wilhelm Pieck in 1960, the office was replaced by a head of state. The position of chairman was commonly held by the party leader, government was headed by the Council of Ministers and its chairman, sometimes colloquially called Prime Minister. The Council was composed exclusively of members of the SEDs Central Committee and Politburo, the partys subsequent leaders were no more leaders of East Germany than the leaders of other parties. Hilde Benjamin was an East German judge and Minister of Justice. She is best known for presiding over a series of show trials in the 1950s. She is particularly known as responsible for the politically motivated persecution of Erna Dorn, Hilde Benjamin was widely compared to the Nazi-era judge Roland Freisler and referred to as the Red Freisler. Hilde Lange was born in Bernburg and grew up in Berlin, in 1921 she successfully completed her school career at the Fichtenberg High School in Steglitz on the south side of Berlin. She was among the first women to law in Germany, which she did at Berlin, Heidelberg. Afterwards, she worked as an attorney in Berlin-Wedding for the Rote Hilfe. In 1926 she married the doctor, Georg Benjamin, the brother of writer Walter Benjamin and of her friend. Georg and Hildes son, Michael was born at the end of 1932, in 1926 she quit the moderate left-wing SPD and in 1927 joined her husband in the Communist Party. Because she was Jewish she was forbidden to practice law after 1933, during World War II, she was forced to work in a factory from 1939-45. The Communist Party of Germany was a major political party in Germany between 1918 and 1933, and a minor party in West Germany in the postwar period until it was banned in 1956. 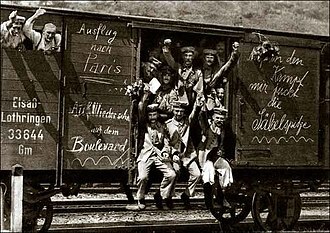 In the 1920s it was called the Spartacists, since it was formed from the Spartacus League, during the Weimar Republic period, the KPD usually polled between 10 and 15 percent of the vote and was represented in the Reichstag and in state parliaments. 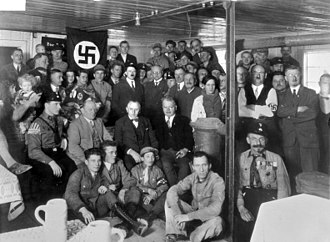 The party directed most of its attacks on the Social Democratic Party of Germany, banned in Nazi Germany one day after Adolf Hitler emerged triumphant in the German elections in 1933, the KPD maintained an underground organization but suffered heavy losses. In East Germany, the party was merged, by Soviet decree, after the fall of the Berlin Wall, the SED was renamed the Party of Democratic Socialism and subsequently merged into Die Linke. The KPD was banned in West Germany in 1956 by the Constitutional Court, before the First World War the Social Democratic Party was the largest party in Germany and the worlds most successful socialist party. 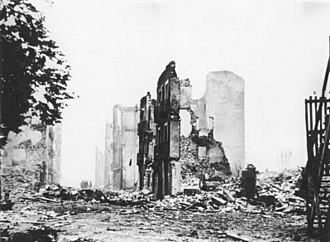 Although still officially claiming to be a Marxist party, by 1914 it had become in practice a reformist party, in 1914 the SPD members of the Reichstag voted in favour of the war. 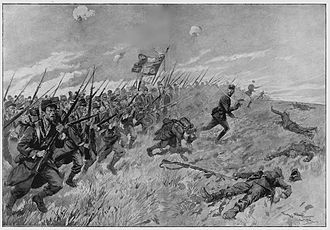 In November 1918, revolution broke out across Germany, germanys Social Democratic government, which had come to power after the fall of the Monarchy, was vehemently opposed to the KPDs idea of socialism. 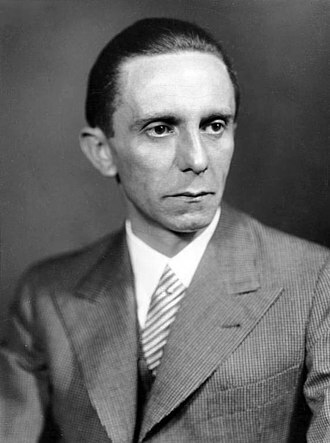 The Party split a few months into two factions, the KPD and the Communist Workers Party of Germany, following the assassination of Leo Jogiches, Paul Levi became the KPD leader. Other prominent members included Clara Zetkin, Paul Frölich, Hugo Eberlein, Franz Mehring, August Thalheimer, Levi led the party away from the policy of immediate revolution, in an effort to win over SPD and USPD voters and trade union officials. These efforts were rewarded when a section of the USPD joined the KPD. 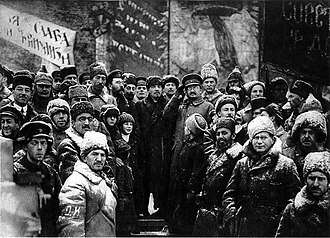 Through the 1920s the KPD was racked by internal conflict between more and less radical factions, partly reflecting the struggles between Zinoviev and Stalin in Moscow. Originally formed as a body of 18 members, by 1989 the council consisted of 44 members. Under the Constitution of East Germany, the Council of Ministers was formally defined as the government of East Germany, the same Constitution, officially confirmed the leading role of the Socialist Unity Party. Hence the Council of Ministers was not the highest power in the country, in particular, ministers were subordinate to the secretary of the CC responsible for their portfolio, and, at least unofficially, to the General Secretary. The Council was led by a chairman, equivalent to a Prime Minister, there were two first deputy chairmen and nine other deputy chairmen. 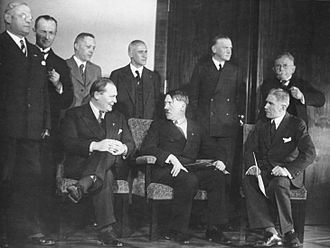 Together with some key ministers they formed the presidency of the Council, the Präsidium managed the day-to-day affairs of the Council between its weekly meetings, which took place regularly on Wednesdays to execute the resolutions of the Politbüro’s weekly meetings. The secretaries and department managers in the Central Committee were authorized to give instructions to the ministers as necessary, until the Wende in the fall of 1989, the two first deputy chairmen were Werner Krolikowski and Alfred Neumann, who were both members of the SED Politbüro. Other deputy chairmen included the leaders of the four allied parties, additional members included the chairman of the State Planning Commission, the president of the Staatsbank der DDR and some state secretaries, who were usually office directors at the Council. All members of the Council were selected by the GDR Volkskammer for a term of five years, within the centralized state structure of the GDR, the city and district administrations were subordinated to the Council. After the SED abandoned power in November 1989, the last Communist prime minister, Hans Modrow and he was succeeded by Lothar de Maizière after what turned out to be the only free election ever held in East Germany, in March 1990. De Maizière presided over the period to the reunification of the two Germanies in October 1990. The former Prussian state parliament served as the seat of the Council from 1950 to 1953, from 1961 to 1990 the Councils offices were located in the former Old City Hall of Berlin at No.47 Klosterstraße. 12. Order "For Merit to the Fatherland"
The Order For Merit to the Fatherland is a state decoration of the Russian Federation. It was instituted on March 2,1994 by Presidential Decree 442, until the re-establishment of the Order of St. Andrew in 1998, it was the highest Order of the Russian Federation, though it is still the highest Civilian decoration of the state. The Order of St. Andrew decoration is given to Military personnel only, the statute of the Order was modified on January 6,1999 by Presidential Decree 19 and again on September 7,2010 by Presidential Decree 1099. 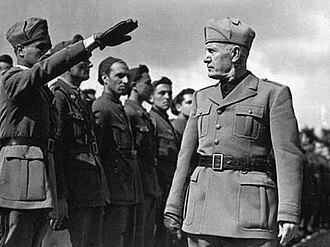 The Order For Merit to the Fatherland is a mixed civilian, the highest of the four classes is the Order I class, the lowest being the Order IV class. These classes are awarded sequentially from the IV to the I class, in exceptional cases, the President of the Russian Federation may decide to award the Order For Service to the Fatherland to persons not previously awarded state awards of the Russian Federation. 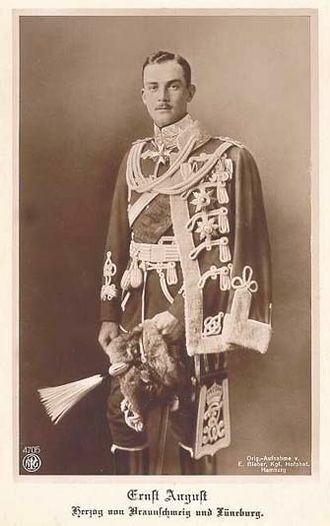 Soldiers receiving the Order For Merit to the Fatherland for distinction in combat will receive the Order with Swords, the order has a collar and four classes. The collar is the insignia of the President of the Russian Federation. The four classes of the Order are individually identified by the size, cross, Is a silver-gilt ruby-enamelled cross pattée bearing the gilt state emblem of the Russian Federation on its obverse. On the reverse of the cross is a circular medallion surrounded by the motto BENEFIT, HONOUR, in the center of the medallion, the year of the establishment of the Order 1994. On the reverse of the arm of the cross, laurel leaves. The cross for the Order I class measures 60mm across and is affixed to a 100mm wide red sash worn over the right shoulder. The cross of the II and III classes measures 50mm across and is worn on a 45mm wide red neck ribbon for the II class, the cross for the IV class measures 40mm across and hangs from a standard pentagonal mount covered by a red 24mm wide ribbon. Star, The star of the Order is eight pointed, 82mm across and of highly polished silver. At its center on the obverse if a circular medallion bearing the gilt state emblem of the Russian Federation. Benjamin (right) talking to Jugendweihe participants in 1958.